If you're looking for simple way to set your vehicle apart from the crowd, All Sales Mfg billet aluminum grille emblems are a perfect choice. Not only are these available in multiple styles, they're also tough as nails. 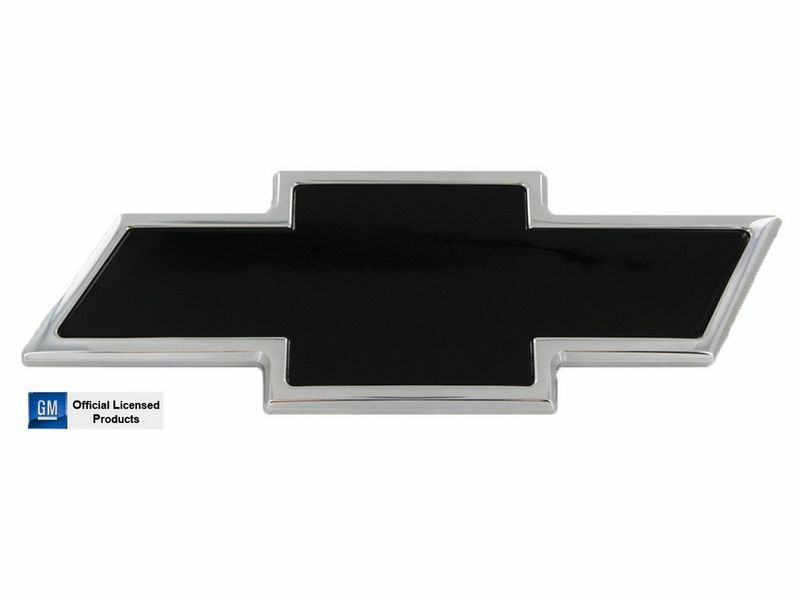 All logos including the officially licensed GMC and Chevy Bowties are available in chrome, mirror polished, and black powder coat finishes, as well as with or without a machine etched border. Each piece is CNC machined from a piece of billet aluminum giving your vehicle a cleaner, more custom look. All Sales Mfg. offers emblems for both front and rear logos on most vehicles. All hardware is included, and installation is a breeze. So, if you're ready to drop the factory emblem, and get a more custom look that better compliments your ride, don't look any further. All Sales Mfg. billet aluminum grille emblems are exactly what you've been searching for. Get yourself one, or two, today. The limited warranty set forth below is given by AMI (All Sales Mfg Inc) to products sold in the USA and Canada. The limited warranty is only upon presentation of proof of purchase (bill of sale). AMI warrants to customers, that products will be free of defects in material an workmanship for a period of 90 days from date of purchase. AMI will repair or replace without charge all products that fail due to defective material or workmanship. Malfunctions or damages resulting from accidents, abuse, lack of care, misapplication, improper installation or normal wear and tear are not covered under this warranty. No other warranty of merchantability or fitness for purpose intended is made. When returning products under this limited warranty, you must pre-pay the shipping charges, if any, and enclose a complete explanation of the problem. All Sales Mfg. billet aluminum grille emblems are simple to install taking only a few minutes. If you have any questions please give us a call at 877-216-5446.